DISCLOSURE: THIS POST IS IN SPONSORSHIP WITH GODDESS GARDEN ORGANICS, BUT ALL THOUGHTS ARE MY OWN. Summer is in full swing and that means the sun is pretty much working full time. Are you staying protected? There are so many different sunscreens on the market it can be overwhelming. Luckily there is a brand that is safe and trustworthy. 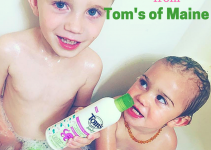 Our family has been using Goddess Garden Organics products consistently for about 4 to 5 years now. After having Monte, I became super aware of what items I was putting on his skin and my own. 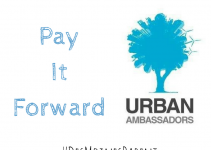 Founder of Goddess Garden, Nova Covington shares a similar story. Her daughter suffered from allergies to common skincare ingredients and she had enough with it. She created her own safe products. Today, millions all over the world are turning to Goddess Garden’s organic, natural, safe sunscreen for themselves and their families. 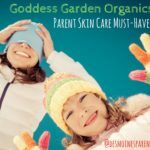 Goddess Garden’s sunscreen is different than those on the market. Many sunscreens contain chemicals such as oxybenzone and octinoxate that are absorbed into your skin, which can cause reactions. Nova did some research and discovered that natural minerals reflect the UV rays and are not absorbed into the skin AND they are less likely to cause irritation. Not only are Goddess Gardens products safe for our children and our own bodies but they are also safe for the reefs and environment. 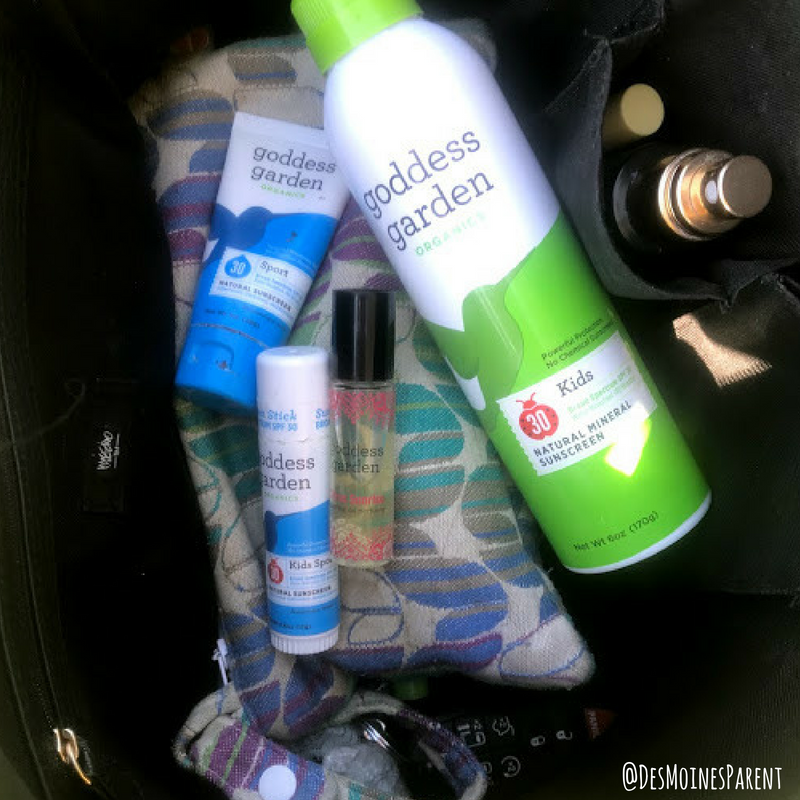 If you were to check my purse and pool bag I have about every option of sunscreen created by Goddess Garden. They offer so many different ways to apply their sunscreen including a continuous spray, face stick, lip balm and more. 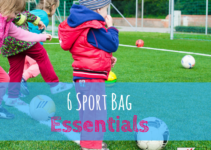 There are also options for kids, babies, and for those who more active outdoors. If you look closely you can see my favorite Goddess Garden Perfume too! 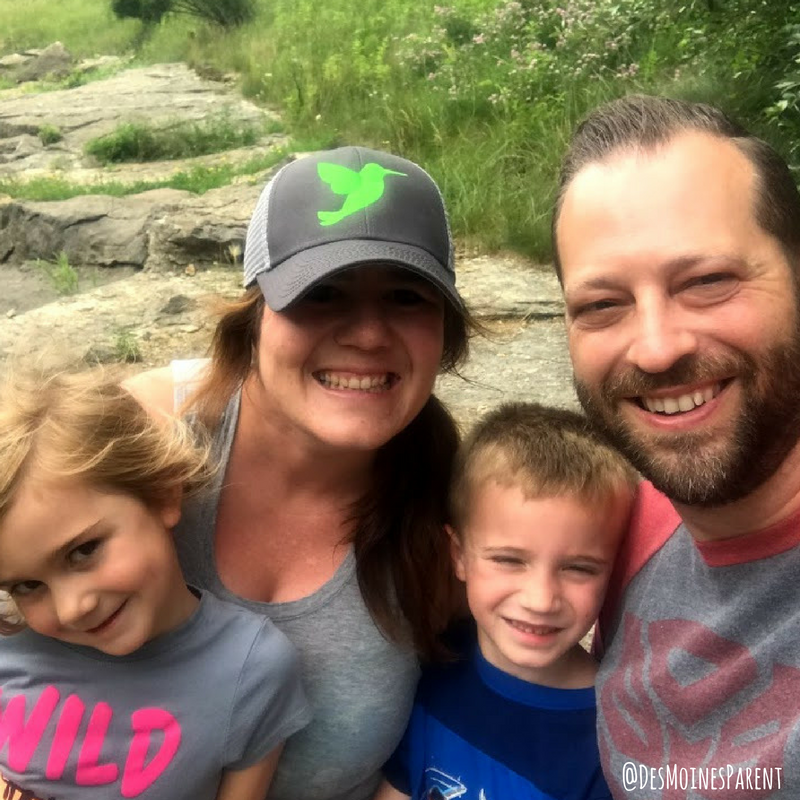 Protect your family from the sun and the nasty chemicals. 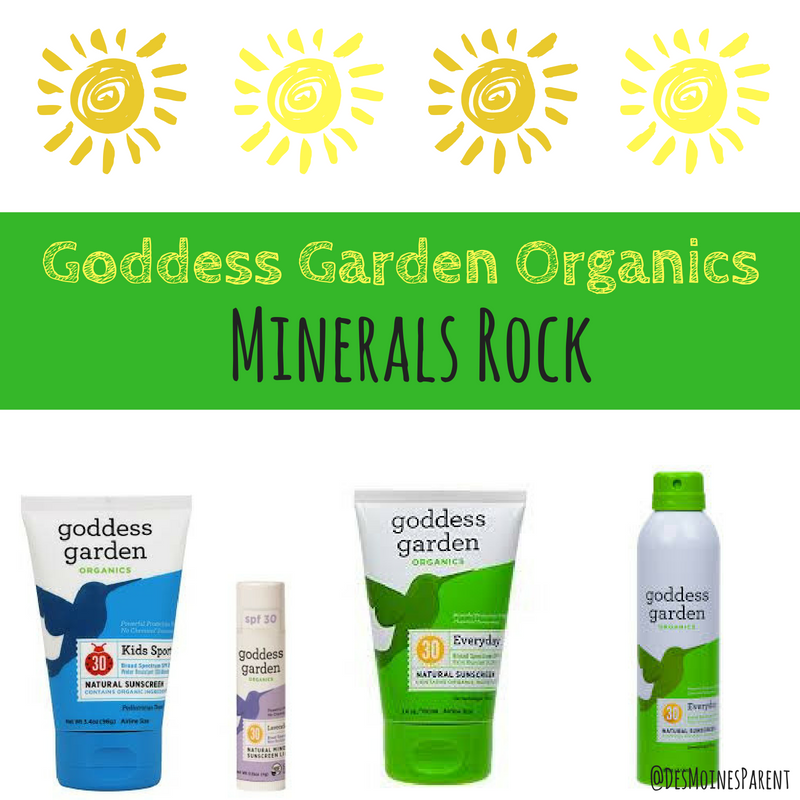 Buy Goddess Garden Organics sunscreen. 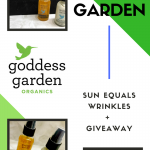 Goddess Garden: Sun Equals Wrinkles + Giveaway!